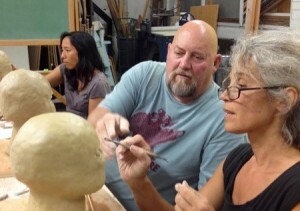 Arbutus hires instructors who engage with a broad community of artists, such as guilds, associations and other learning groups. This shows an interest in professional development, openness to learning and a dedication to craft education. We believe a person can dedicate a lifetime to any of these crafts and still discover new ideas! We are interested in instructors with a sense of wonder, exploration and sharing. Our instructors are the heart and soul of our organization – they are advisors, advocates and friends. We share a common goal of promoting craft education as the foundation of building a strong Northwest craft economy. In order to provide the highest quality experience, our classes will be routinely evaluated and feedback from students and instructors are highly encouraged. All instructors are independent contractors. We will request a contract to be signed and a W-9 submitted. Stacey Waterman-Hoey: stacey “at” arbutusfolkschool “dot” org. Do you know someone who would be a great teacher for Arbutus? We would like to know who they are and how to reach them! Class evaluation form : Digital version: Arbutus Folk School evaluation fill-in. Digital evals can be emailed to: info@arbutusfolkschoo.org. Print version: blank eval 11-2013 Print versions can be mailed to: Arbutus Folk School 120 State Avenue, NE, #298, Olympia, WA 98501.